Due to Hurricane Florence, the Atlantic Tire Championships will be operating on a day-to-day basis. Check the Atlantic Tire Championships webage and social media for up-to-date information. 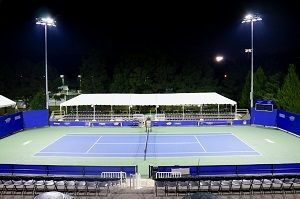 Positioned to begin at the conclusion of the US Open, the Atlantic Tire Championships is a USTA Pro Circuit Event that attracts many of the top ATP professionals and capitalize on the excitement created from the biggest Grand Slam. Multiple ticket packages available (click here for more details).